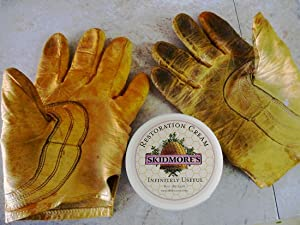 Skidmore’s Restoration Cream is an all purpose leather care product which cleans, conditions, and protects all types of leather. Regular use will build a degree of waterproofing on the leather. Use on saddles, tack, chaps, shoes & boots, purses, motorcycle leathers, saddlebags, car upholstery, and leather furniture. Our Restoration Cream brings dry, curled, cracked leather back to life and protects all leather from the harsh effects of the environment…sun, wind, dryness, and moisture. Leather is a tough material, but it needs to be cared for… protect your investment with Skidmore’s. Skidmore’s products are made using the finest ingredients nature can provide, derived from trees, plants, and insects. Our main ingredient is pure beeswax, a rather magical substance, we feel! We formulate these ingredients in traditional ways, carefully overseeing every step of the process. We are proud of the way the resulting products perform and hold-up, and of the flexibility in application that they offer. We treat our employees and our customers the way we like to be treated – with honesty, fairness and appreciation. We’ve worked hard to make sure that when you buy Skidmore’s, you’re purchasing the very best wood and leather products in the marketplace. We hope you will be more than satisfied, but if you are not, just let us know. We welcome your satisfied comments, and will be happy to hear any suggestions for improvement. 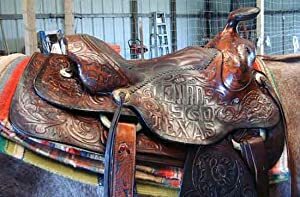 "As you can see from the tooling on my saddle, it is 48 years old (made in 1960). I've been using Skidmore's exclusively for at least 15 years. The leather is soft and supple and maintains a great shine. Looks pretty good for 48 years old, wouldn't you say? After I took this photo, I took my saddle to a saddle maker to discuss putting new strings on it. He couldn't believe the condition of the leather. The tooling still looks great. Other products can build up and you loose the definition of your tooling. That doesn't happen with Skidmore's. Thanks Skidmore's for making such a great product. I look forward to many, many more years in this saddle thanks to you". "I want to congratulate you for producing a quality product in your Leather Cream. This is without a doubt the finest conditioner and water-proofer I have ever used. A friend and I were up about 11,000 feet in the mountains stuck in a 4-wheel drive. I shoveled deep snow for an hour before I realized that my feet were in 3 inches of water - they were completely dry!" 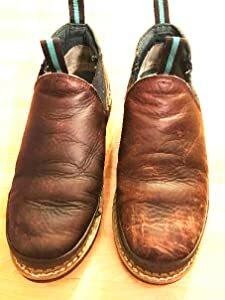 Bring your favorite pair of leather shoes back to life again. Don't even think about throwing away your old pair of Romeo's! 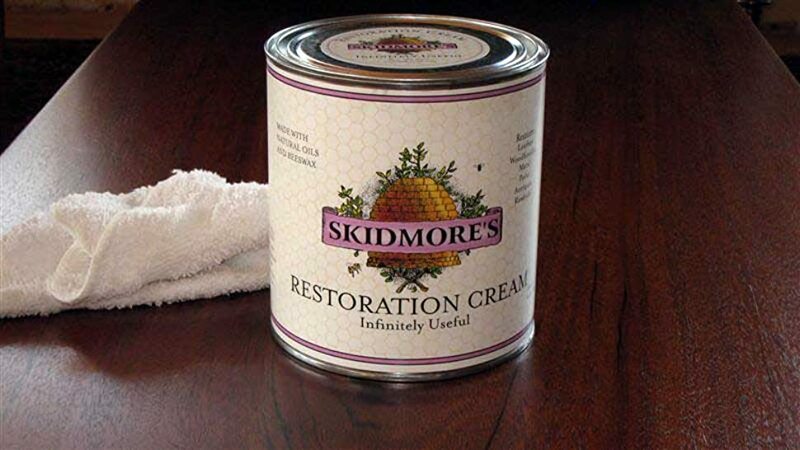 After a single application of Skidmore's Restoration Cream, all the scratches, cracks, and scuffs will be long gone! Does Wonders on Wood Too! 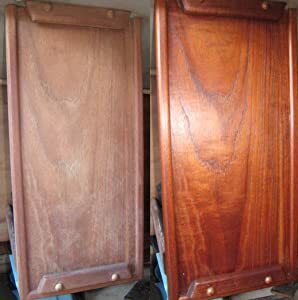 Make your dated, old cabinets look brand new again! After using Skidmore's, you'll be flat out impressed at the new vibrant color and richness you see in your wood products. 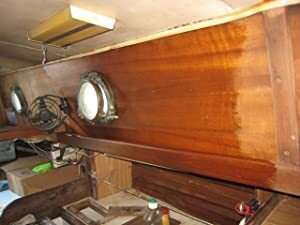 Results in a semi-gloss shine that really brings the natural character in the wood alive! Tired looking, older wood really produces the most amazing results. The Restoration Cream really melts into the natural wood filaments and renews and rejuvenates, bringing a smooth, silky feel back to the surface of the wood and a vibrancy that hasn't been seen in years! HONEY Leather Conditioner, Best Leather Conditioner Since 1968. For Use on Leather Apparel, Furniture, Auto Interiors, Shoes, Bags and Accessories. Non-Toxic and Made in the USA!